The Trump administration has described Sunday’s constituent assembly election in Venezuela as “another step toward dictatorship,” despite high voter turnout and little evidence that the assembly will dissolve the country’s legislature. Will Venezuela be the CIA’s next regime change target? CARACAS — According to the U.S., its allies, and an ever-obedient mainstream media, Venezuela’s election this past Sunday was a “sham.” The vote itself had been particularly controversial in Venezuela and abroad, as it sought to elect candidates to a new national constituent assembly, a body which will have the power to rewrite the Venezuelan constitution. The Trump administration called Sunday’s election “another step toward dictatorship,” warning that it “won’t accept an illegitimate government” in Venezuela. Sanctions were subsequently imposed on Venezuelan President Nicolás Maduro. Maduro’s sham election is another step toward dictatorship. We won’t accept an illegit govt. The Venezuelan ppl & democracy will prevail. “I feel proud to be sanctioned Mr Imperialist Donald Trump.” “Impose whatever sanctions you like but I am the leader of the free people,” he added. As MintPress has reported on several occasions, not everything in Venezuela is as it seems. The U.S. has long been involved in attempting to destabilize the government of Venezuela ever since Hugo Chávez was first elected nearly two decades ago. After decades of backing several failed coup attempts and years of economic warfare, the United States is very much involved in the nation’s crisis, yet has gone to great lengths to try to obscure its role in agitating the nation’s increasingly chaotic situation. With Venezuela’s massive oil reserves, the largest in the world, as well as its government’s frequent rebuke of U.S. corporations and influence over the years, the country has long been on the U.S. government’s hitlist. Furthermore, with some members of the Trump administration having expressed a personal vendetta to bring about the end of the Chavistas and the latest warning that the U.S. “won’t accept” a government they have now labeled “illegitimate,” it seems quite possible that Venezuela may very well be Trump’s first foray into the U.S.’ long-standing practice of destabilizing and deposing democratically-elected, leftist governments in Latin America. Mainstream reporting on the constituent assembly election has centered around what the assembly might do once elected. It has been portrayed as a step towards dictatorship, even though the president of Venezuela is authorized by the current constitution to convene such an assembly. These dictatorship claims are based on the possibility that the assembly will draft a constitution that will dissolve the legislature and give Maduro unlimited power, moves that no one in Maduro’s party nor he himself has ever stated a desire to see. According to the current government of Venezuela, the constituent assembly was convened with the purpose of safeguarding certain “achievements” claimed by the Chavista movement over nearly two decades. It is also intended to end the impasse between the opposition-controlled legislature and the executive branch of the government by allowing groups from both sides to draft a new constitution and re-initiate dialogue. 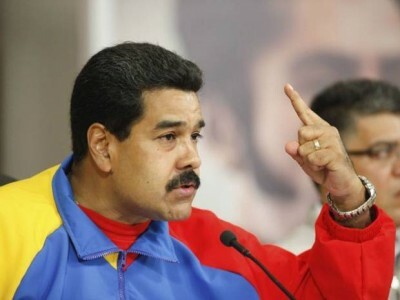 However, the opposition parties boycotted the election, despite having called for constituent assembly elections for several years – that is, until Maduro called for one. For that reason, the results of Sunday’s election led to victories for mostly Maduro supporters and allies, as the main opposition group in Venezuela, the Democratic Unity Roundtable (MUD), chose not to participate, thereby undermining the entire process. Other minor opposition parties chose to participate. Mainstream media reports in both English and Spanish have repeatedly stated that 70 percent of Venezuelans themselves opposed Sunday’s vote. However, this figure came from a poll conducted by the firm Datanalisis, whose president, Luis Vicente León, has made his personal distaste for the constituent assembly and the Maduro-led government well known. In fact, León has proven himself in recent months to be more of a right-wing, pro-opposition political pundit than a pollster, calling the objectivity of his firm’s polling results into question. However, his firm’s polls have been taken as objective by the mainstream media. For example, NBC News cited exit polls conducted by Datanalisis, along with a New York investment bank, Torino Capital, as proof that turnout in Sunday’s election was much lower than officially reported, with 3.6 million voters participating, or 18.5 percent of the constituency. These numbers were echoed by leaders of the political opposition, who supposedly boycotted the entire process, yet somehow managed to confidently claim that less than 3 million Venezuelans voted. Venezuelan election authorities – who actually tallied the votes – stated that 8.1 million Venezuelans participated, a 41.5-percent turnout. Also absent from media coverage was the violence carried out by the opposition. While police did engage opposition protesters, as protests were banned in the days leading up to the election, opposition violence was significant, as hundreds of voting machines were burned and one of the candidates running in Sunday’s election was gunned down in his own home. However, only mentions of the police crackdown made it into mainstream reports. In the aftermath of Sunday’s vote, it was also reported across numerous media outlets that the results of Sunday’s election were “widely opposed” by a slew of countries. However, of those who expressed their condemnation of the election, all are closely allied with the United States. Latin American countries that condemned Venezuela for the vote included Colombia, Argentina, Brazil, Chile, Mexico, Peru and Paraguay, in addition to U.S. allies like the EU and Canada. Colombia, Peru and Mexico all have presidents who have touted themselves as close U.S. allies, often choosing U.S. government and corporate interests over those of their own people. Brazil and Paraguay have also turned sharply towards Washington ever since their left-leaning presidents were ejected from office and replaced with right-wing figures via “soft” coups. Chile, despite being a “democracy,” has remained tightly aligned with U.S. foreign policy since the Allende government was overthrown by the U.S. in 1973. Argentina’s right-wing president Mauricio Macri has also been shown to have close ties to the United States and has made deals to let the U.S. expand its military presence in the country during his short time in office. Other nations that are not allied with the U.S. supported Venezuela’s election and opposed U.S.-led efforts to impose sanctions. These included Russia, Nicaragua, Bolivia and Ecuador. Several Latin American leaders have accused Maduro of having lost the legitimacy to lead due to his less than stellar approval rating of 30 percent, though opposition-linked polling firm Datanalisis places the figure at 20.8 percent. This figure is being cited by the media as another reason why the constituent assembly could not possibly represent the desires of Venezuelans, even though the voting was unrelated to Maduro’s approval rating. However, what has not been mentioned is that many of these same Latin American leaders have approval ratings well below Maduro’s, suggesting that they too must also have lost the legitimacy to lead, were their arguments on point. For instance, Enrique Peña Nieto of Mexico has an approval rating of 12 percent, while Michelle Bachelet of Chile has a 20-percent approval rating. Brazil’s right-wing and unelected president Michel Temer takes the cake with an absurdly low approval rating of just 5 percent. Yet, in mainstream media reports, only Maduro’s name is repeatedly prefaced by the term “unpopular” (see here, here and here). Given that the countries opposing Venezuela in the aftermath of Sunday’s vote are exclusively the U.S. and its allies, this “chorus” of condemnation seems little more than an attempt to generate an “international consensus” that the Maduro-led government, though democratically-elected, is both isolated and illegitimate, ultimately making it an easier target for destabilization and regime change. Also on Friday, the U.S. State Department ordered family members of government personnel to leave the U.S. embassy in Caracas and also issued a travel advisory warning U.S. citizens against traveling to Venezuela. Such drastic action normally occurs before increasing instability or violence is anticipated. The U.S. was likely aware in advance that the opposition would call for “war in the streets” following Sunday’s election. The Central Intelligence Agency (CIA) is also known to currently be involved in the destabilization of Venezuela. A failed coup attempt in late June, for instance, was linked to both the CIA and the U.S. Drug Enforcement Administration (DEA). Furthermore, in a matter of months, the U.S. is set to lead military drills with three South American nations, two of which border Venezuela. The drills, dubbed “Operation: America United,” will involve the installation of a temporary military base on the triple border shared by Colombia, Peru and Brazil. Experts have pointed out that the drills are of particular interest to the U.S., as they present an opportunity to focus on the political situation in Venezuela. According to Telesur, President Donald Trump had already met with the presidents of Peru and Colombia to discuss the U.S.’ interest in Venezuela prior to the official announcement of the drills. At the very least, the military show-of-force will come at a time of further crisis and vulnerability for Venezuela and will likely keep Maduro on edge. A coup on the horizon? The U.S. has shown for the years that it refuses to recognize people’s right to self-determination, particularly when a government unfriendly to the U.S. empire comes to power. The opposition leaders’ boycott of the constituent assembly elections on Sunday is their best way of accentuating the crisis, essentially amounting to an international psy-op that will justify greater U.S. and international meddling in Venezuelan affairs as democracy is perceived to be “in danger.” With opposition figures like Leopoldo López already in communication with high-ranking U.S. officials, as well as continued calls for military coups, the real fight for Venezuelan democracy is reaching the boiling point. It is up to the independent media to blow the whistle on the realities of the situation in Venezuela in order to prevent U.S. involvement in yet another “color revolution” regime change operation, which – if it succeeds – will mark Trump’s first coup. Editor’s note: This story was updated to reflect a decision by the Trump administration to impose new sanctions on Venezuela following the results of the national constituent assembly vote on Monday evening. Whitney Webb is a MintPress contributor who has written for several news organizations in both English and Spanish; her stories have been featured on ZeroHedge, the Anti-Media, 21st Century Wire, and True Activist among others – she currently resides in Southern Chile.